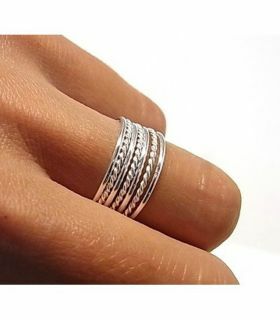 Semanario with 7 stackable Sterling Silver band rings with flat and patterned designs. Total ring width: 10 mm. Available sizes: 18, 20, 22 & 25.